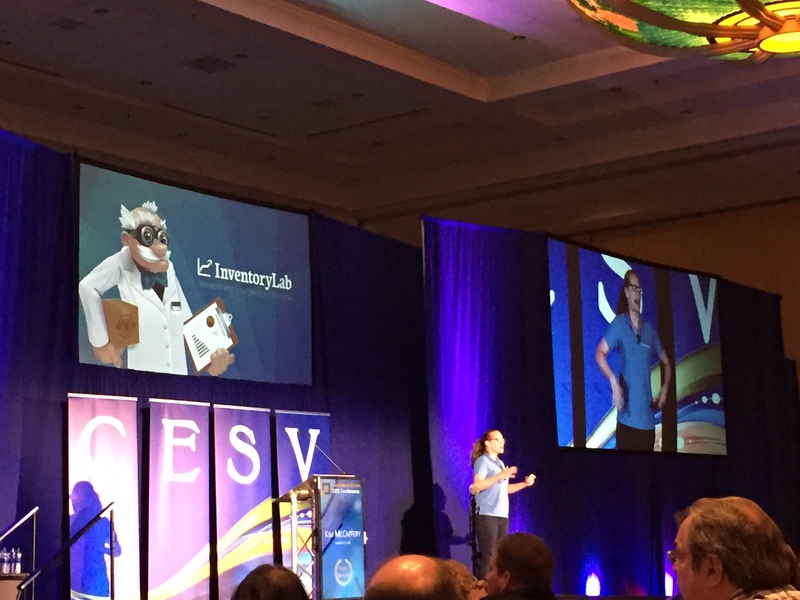 Hey everyone 🙂 Welcome back to the day 2 at Jim Cockrum’s CES V Conference in Orlando, Florida. Another great day full of amazing speaker, great connections made, and not to mention, some awesome food from the resort. Started the day again early getting to the conference hall around 7:30 am before all of the attendees rolled out of their beds and made their way down to the conference. Going into day 2, I naturally had high expectations given what was delivered on Day 1. If you didn’t get a chance to read my article on day 1 yet, give it a read here: Day 1: What I’ve Learned at Jim Cockrum’s CES V 2017 Conference. To quickly summarize, day 1 was packed with introductions to who Jim is, what his organization is all about, and a flurry of talks surrounding selling on Amazon, creating viral communities, and much more. Something that I took away from day 1 that has stuck with me into day 2 is the ability for the speakers to relate to the crowd. They all have come with their own expertise within the given area of business where they all add the most value, but they also have told some great stories that relate to the people in the conference. Everyone that I’ve met is at a different point with their Amazon selling and it’s important that the speakers relate to each and every one of them. I think that they’ve been able to successfully do that. As you head into the remainder of this article, keep your eyes open for the links that I put in for the people that presented at the conference today. All of them provide HIGH value to their customers and clients on a daily basis and are people that anyone reading this can learn from. Jim Cockrum kicked the day off again for the conference talking about what he and his organization were doing to help the people impacted by the hurricanes and earthquakes that have recently hit Houston, Florida, and Mexico. It’s been a pleasure to get to see the human side of Jim throughout these two days and you can truly tell that he loves what he does and he does it for others. He’s a sound businessman and he runs his company intelligently, but his ultimate mission is to help others and make a positive impact on them. That’s something I can get behind and a value that relates closely to what I look to achieve through building my companies. 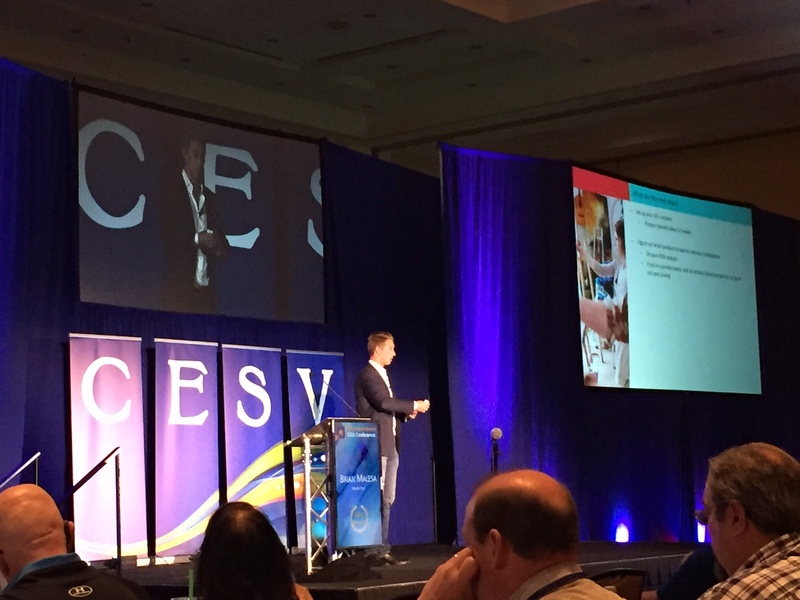 Second onto the stage was Ryan Reger and Jenni Hunt for a follow up to their presentation on Day 1 where they started discussing the power of private label and the hacks that they’ve created in order to sell more and sell smarter with private label. Before I get into the content that they shared with the audience, I must say that they are an entertaining duo and were a great start to the day as everyone was still waking up and getting the engines running. Whether it was throwing more chocolate kisses into the crowd or cracking jokes while the other was speaking, it was an awesome presentation on the ins and outs of private label. I enjoyed this section of their presentation because it brought me back to the days that I spent hours upon hours researching new suppliers and going down different rabit holes on Google. 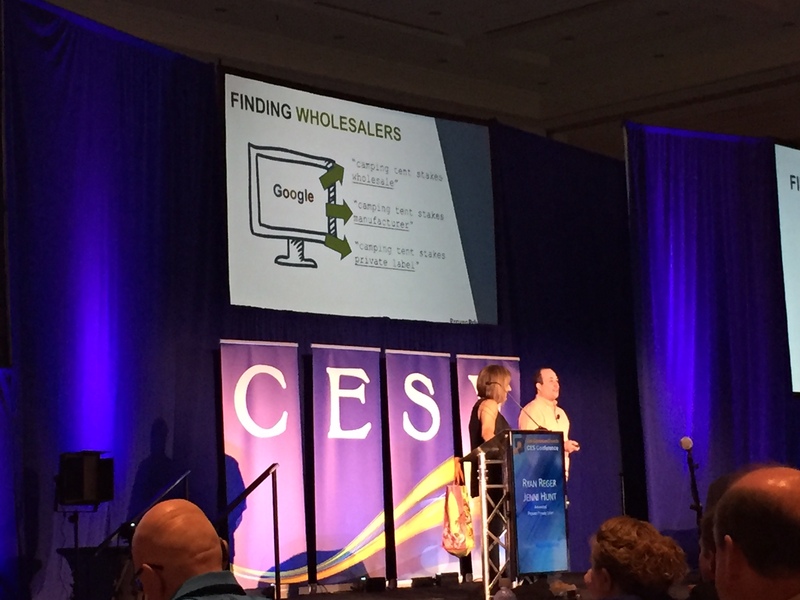 They provided advice on multiple channels that you can find wholesalers (Google, Facebook, LinkedIn, Pinterest, etc.) and then went into the process of actually finding the best contact information from them and reaching out to them. Click into those and you’ll find the information to the wholesale department of that company. That’s who you want to contact in order to find a wholesaler that you can work with to private label on Amazon. That question simply asks them if you can private label without having to make it confusing. Ryan and Jenni used a product on stage and showed how simple it is to repackage a product that you receive so you can then resell it online and ship it to the customer. At this part of the talk, they expressed that you need to keep it simple. Too many people try to make things too confusing because it’s hard to believe that something could be so simple. Don’t overthink it. If it’s simple and it works, keep it rolling. This hack also brought me back to the days of putting in my headphones, opening up Seller Central, and diving into the business reports that Amazon offered to us. As with everything on Amazon, it’s constantly changing and you need to stay up to date with what’s happening. The hack that they offered to sellers as they head into the fourth quarter is to go into Business Reports on their Amazon Seller Central. Click By Parent ASIN on the left hand side and then sort the products by number of sales or sessions. The great thing is that you can also change the date range to see what was selling best exactly 1 year ago. You can play with the times that you’re looking at and you can make sure that you’re still listing products that were selling best for you last year. And this is a strategy that you can do throughout the year. I know that the Amazon workers I hired are always using business reports to make sure that we are following seasonal trends and keeping products up in our store that were our best sellers 1 year ago. It’s also a great hack that you can use as you are planning your product orders for FBA and wholesaling. If you’re looking to plan for the holiday season and you know it will take 30 days for your products to get to FBA before you can start selling them, well then make sure that you perform your research at least 45 days before you want to start selling them on your store. Make sure that you place the order with the wholesaler so that there is enough time for any issues to happen and that you get it in time to make that money. One great way to private label is to create a product listing bundle that has the product you are selling along with a complementary product. By adding that complementary product to create a bundle, you are able to create your own ASIN that you will be the only one selling on. Because of that exclusivity, you can control the SEO of your listing, run PPC ads on it, and be the only one that people can buy from when they search and find your product. Wouldn’t we all want that? Ryan and Jenni talked about using CreateSpace to create your own informational products that you can bundle with your physical private label products. If you are selling a kitchen item, write a recipe book, and publish it on CreateSpace so that you can bundle them together into a new ASIN on your Amazon store. Again, you gain that exclusivity to the listing and CreateSpace makes it extremely simple for the product to be shipped to the customer once an order is placed. As the talk came to an end, Ryan and Jenni talked more about product ideas that private labelers can easily create and start selling through their store. From framed art for specific holidays to journals to planners to to do lists to work out journals. All of these are simple products that you can private label, optimize for Amazon, and start getting sales. As the talk concluded, the two opened it up for questions to the crowd about private labeling. One individual came up to simply thank Ryan and Jenni for the “Rabbit Trail Calls” that they recently started. It sounded super useful. The basic idea behind the concept is a live call where Jenni and Ryan show their screen as they search for new products and wholesalers for private labeling. It allows people who want to learn about private labeling how the experts are hacking into finding the best products to sell and where to source them from. Jim came back on the stage after Ryan and Jenni finished their talk to introduce two amazing people that were positively impacted by the work that Jim’s organization has created. The first individual onto the stage (forgive me as I didn’t catch her name) was in an extremely difficult place in her life. She had a family, was not doing well financially, and was truly struggling. It wasn’t until she met Jim, his team, and their content that she started to get involved with selling on Amazon and start o dig herself out of the unfortunate hole that she had fallen into. She shared her story and how she started to create goals for her business with each year of growing her selling on Amazon. She shared that she was able to save a significant amount of money (I think around $40,000) to get out of debt and put a down payment on a house that she had always wanted for her family. In the upcoming year, she’s looking forward to increasing her Amazon sales even further and spending 3 weeks in Hawaii with her sisters. What a turn around. The second individual to come onto stage was a gentleman (again, forgive me for not remembering to write down his name). He had recently reached major success with one of his products and he gave the story of how he started on his journey. He was previously in corporate finance when he attended a CES conference and was introduced to Jim and the idea of selling on Amazon. Shortly after, he started to get involved in private label selling on Amazon. He had always been passionate about music and so he found this product called the Audiopet that he thought was an amazing fit for his interests and the purpose of selling on Amazon. They were small, unique bluetooth speaker in the shape of different animals. Over the past year or so as he hustled to sell his Audiopets, he was able to get chosen as one of Oprah’s favorite products. That just set off a storm of publicity opportunities for him bringing him onto the Today Show, to the Emmys, the Teen Awards, and then to Cosmo and Vogue wanting to purchase his products to use in their advertising efforts. 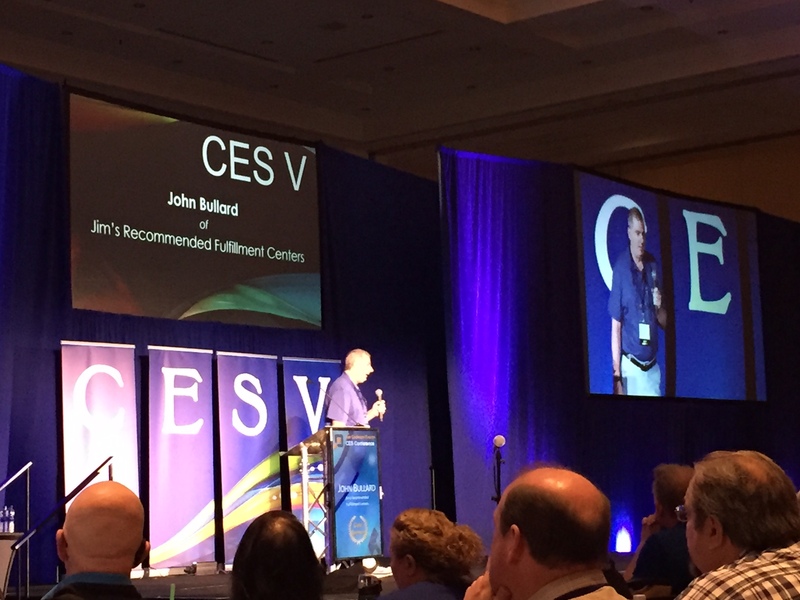 Both were such amazing stories of how CES and the programs offered through Jim Cockrum have allowed others to take their businesses and lives to a level they would have never imagined before. What was it that encouraged them to believe in their future coming true? I know for me having a mentor or a set of mentors or a community of people working towards the same outcome makes a tremendous impact on the way that you think about your own outcome.I always encourage younger entrepreneurs to find a mentor who has achieved what they want to reach. Learn from them. Ask them questions. And slowly create habits that point your life in the direction of your desired outcome. Next onto stage was a crowd favorite, Chris Green, the Amazon Merch wiz and guru. He came onto stage to talk to the crowd about how simple Amazon Merch is, how much potential it has as Amazon grows it over the next couple of years, and the ins and outs of getting started selling on the platform. Midway through the presentation, Jim even came out onto stage on a Live stream to try to throw Chris off his game. Couldn’t be shook though. Below are notes on his presentation that you can dive into if you are interested in getting into Merch. Amazing new opportunity to make more money on Amazon that doesn’t require capital. Overlook of Merch right now and where it is headed in the future. Less than 2 years old. Compare it to FBA which is 10 years old. It’s a free passive stream of income! 38 sales per day equals a 6 figure income from Merch. Aim for that and you could start making 6 figures on Merch without doing as much work as you may need to do with FBA, drop shipping, RA, OA, etc. Amazon underestimated growth of the platform and got caught behind the number of users signing up. The Merch platform is continuing to grow. It’s grown faster than they could have believed and now they are working to catch up. Lots of copycats right now still. Developing technology to get rid of that. Reach out to artists and cartoonists to get their art to put onto the shirts. Treat Merch like a game. Work to level up so that you’re trusted when they release more types of products. For example: hoodies. The world of Merch is quickly growing and it’s a huge opportunity to add a new revenue stream to your Amazon business. As you hear from Jim and his team throughout most of their content, you want to diversify your business and make sure that you have multiple streams of income. It’s dangerous to be pigeon holed into one revenue stream as there is always a chance that it could be compromised and you could then be in big trouble. Book suggestion, Grit: The Power of Passion and Perseverance by Angela Duckworth. Use a reliable fulfillment center or prep center if you are doing FBA, wholesale, etc. Make sure that you’re able to package products properly according to Amazon’s guides and rules before you source it out to a fulfillment center. The need to get your own VAT number. Takes 3-6 weeks to get it all set up. Is your product relevant to the market? Can you handle the management of your international Amazon accounts? Brett Bartlett came back onto stage for Day 2 to talk about the low hanging fruit that can be found on Facebook. 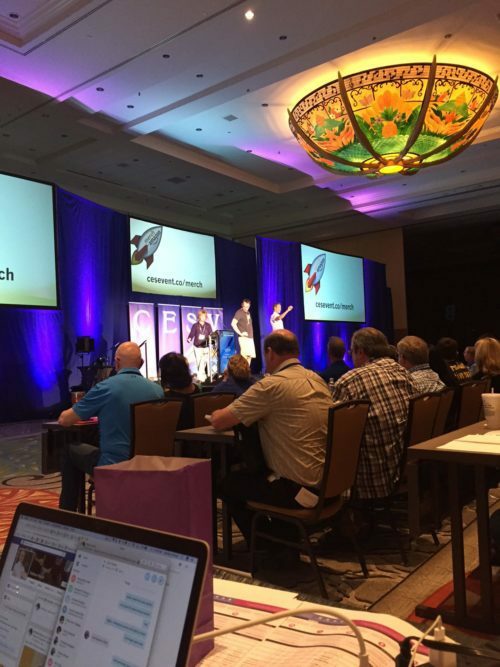 His presentation got into the ways that you can create quick cash flow in your business if you are just getting off the ground and looking to really hustle. Before he dove into the content centered around the low hanging fruit, he showed a video of theirs that had just started going viral. Over 1,000 shares per hour. Jumped from 100k views to 2.4 million. He had just gotten a text earlier in the day notifying him and since he talked about videos on Day 1, he wanted to share this one as well. After showing the video, which featured a girlfriend playing a prank on her sleeping boyfriend, he asked the question: “What product could you come up and sell to this audience?” It was another great conversation about the power of creating real emotion with the audience through a video. Brett encouraged everyone to check out Vid Real, the company that he uses to create viral videos for his business, Dynasty Toys. He also shared why a video like that is so powerful for entrepreneurs. You can use that audience to now re-target through Facebook and continue to serve them ads for products that evoke the same emotion. The votes are out there for the emotion that was created from the video so you KNOW that they are ready to consume similar content and would be willing to buy similar type products. Brett then took the time to dive into the core content of his presentation: the Low Hanging Fruit on Facebook. Again, low hanging fruit equals strategies that you can create cash flow with RIGHT NOW. First, Brett explained the difference between push vs. pull marketing. Amazon is pull marketing. Only a certain amount of people are searching specific topics per year. So, there is a limit. Facebook is push marketing. Pushing something out to an audience that they didn’t even know existed or wanted. You’re pushing something into their face. The audience then gets to vote if they want to keep viewing the push. There is a much higher ceiling on push marketing. 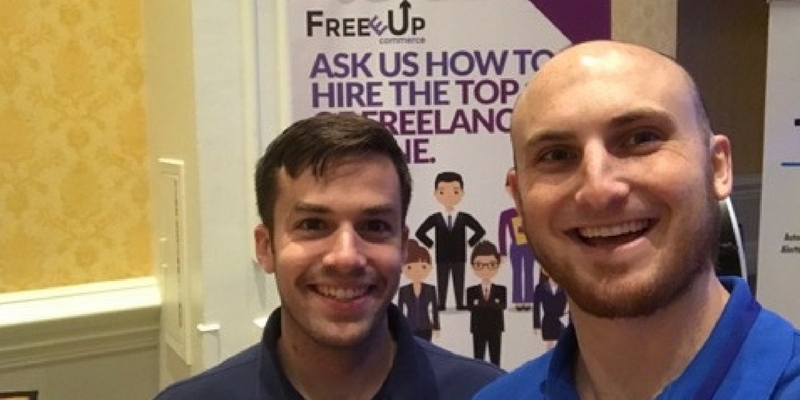 Similar to the hundreds of people at the CES V Conference, Brett started with $400 and was hustling each day to try to make a buck. All eCommrce entrepreneurs start there and they feel the pressure of trying to just sell SOMETHING online. I know that I did it when my business partner, Nathan, and I started selling books on Amazon out of our college dorm rooms. Every single order was a “yahoo” that we could celebrate and we felt like we were already rich. Those first sales are so important to keep you going and as Brett outlined, there are so many hacks that you can tap into that bring in new sales, allow you to build an audience, and connect with those people through multiple types of products. If you aren’t already hustling and hacking, use one of Brett’s ideas above or create your own, get out there, and get it rolling. The day wrapped up in quite an amazing fashion. Jim, Brett, and Chris from the CES team took the stage to entertain questions from the crowd sharing their genuine thoughts and responses to what the crowd wanted to know about most. From “how do I get started with one of these awesome ideas that I’ve heard this week?” to “how do I charge my customers correctly?”, Jim and the team took questions for about 1 hour. It was really cool to see the three of them challenged with questions that they hadn’t prepared for. I personally believe that you see the real person as they are asked genuine questions and have to give answers with examples from their lives and experiences. Thanks again to Jim and the CES team for taking those questions and being genuine in your answers. It’s a part of the conference that I personally enjoyed and that I wish all other conferences would do as well. Another jam packed day of content, Amazon selling secrets, and introductions to new ideas of how you can make money by selling online. 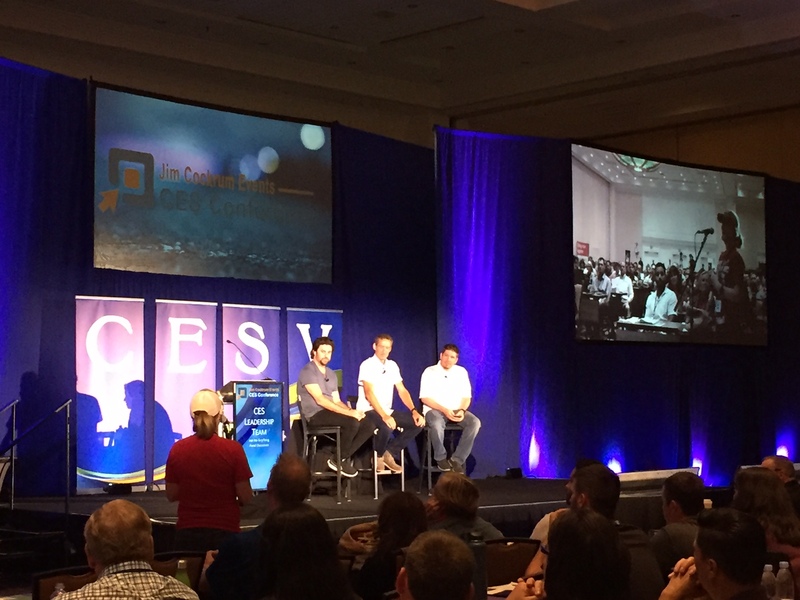 I’m continued to be impressed by the speakers that Jim and his team have been able to bring to the CES V conference and the attitude of all the hundreds of people at the conference. Everyone is interested in learning and wants to take their business to the next level. Everyone wants to meet other people, even if they’re introverted. It’s been a great experience thus far and I highly recommend anyone that didn’t attend the event to look into CES VI in 2018. It’s going to continue to get better and better year after year and you can learn a tremendous amount about growing your business while also meeting some amazing people who are looking to do the same. Chris Green is awesome, and you’ll need his advice if you want to get into Merch. Wish I could have been there! Wish I could have attended this event! I am sure this would have been a great avenue to build a network. Looking forward to CES VI this year! Jim Cockrum is the man. He makes building your own business impactful. With the rapid growth of the world of Merch, this conference shouldn’t be missed. All the other speakers gave value-packed talks, too.